Modern bread wheat contains more than five times more DNA than people, in a much more complicated arrangement. 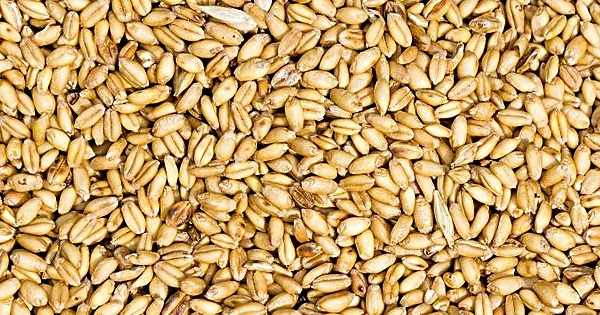 As a result, it has taken a fair old while to decode wheat’s genome. Having done so, though, the DNA confirms what plant scientists have long suspected — that bread wheat is the result of two separate occasions on which an ancestor of wheat crossed with a goat grass. The DNA also tells us when those crosses might have happened. I’m tuning in to this one! I’m saving these up for a drive Tuesday! hewnbread liked this article on instagram.com. sarahminnick_ liked this article on instagram.com. _zoe_vanessa_ liked this article on instagram.com. joe_vinson_1 liked this article on instagram.com. Hilary Andre liked this article on twitter.com. Thos Bolin liked this article on twitter.com. Anne-Marie Gregory liked this article on twitter.com. Gyllegok liked this article on twitter.com. farmernature.blogspot.com liked this article on twitter.com. Rachel Roddy liked this article on twitter.com. Rachel Roddy reposted this article on twitter.com. Seed Science Society reposted this article on twitter.com.